It doesn't matter where you venture around the world, there is always some magic to discover, and Port Erin is certainly no exception. From Port Erin, head northwest approximately 60 miles (97 kilometers) to explore the exceptional city of Belfast. The bright lights of another significant city, Dublin, can be found southwest, roughly 80 miles (129 kilometers) away. No vacation is complete without a visit to the ocean, and this vacation is no different. Laxey Beach and Port St Mary Beach are two of this region's great beaches. Laxey Beach is 18 miles (29 kilometers) to the northeast of Port Erin, and Port St Mary Beach is 18 miles (29 kilometers) northeast. It is difficult to think of something more awe-inspiring than seeing a beautiful space that's been created by Mother Nature, and you have some to see in the area. Make sure you go to Snaefell, which you can find 17 miles (27 kilometers) from Port Erin. If you are after more to do, you could also visit Calf of Man, which is 3 miles (5 kilometers) away. Tourists staying in this area only have to travel 11 miles (18 kilometers) northeast of Port Erin to enjoy live sports at National Sports Centre. Capture pictures to bring back memories of you chanting in the stands. Most tourists spend some time at Port Erin Beach and Cregneash Village Folk Museum. You will have many wonderful memories of this place and the attractive Isle of Man long after you have gone. The nearest major airport to Port Erin is Ronaldsway Airport, located 5 miles (8 kilometers) to the east. We'd like you to know about the simple savings you'll receive if you book a Port Erin fight and accommodation package at Travelocity. Our international database enables you to search through 400 airlines and 250,000 hotels. From flights and hotels, to activities and rental cars, we can provide 24/7 personal assistance with our Customer 1st Guarantee. Have you spotted a better deal? Just provide us with an image of the lower price and we will refund the difference plus give you $50 towards your next vacation. You can cancel any of your family's accommodations with no annoying charges. Do you know what that means? Less stress for you! And as long as it is 3 days prior to your stay many accommodations don't charge fees either. Terms and Conditions apply. 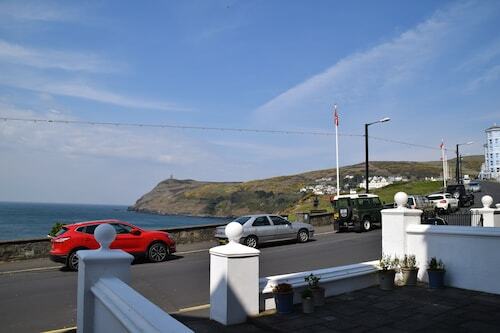 Situated in Port Erin, this bed & breakfast is steps from Port Erin Beach and Rowany Golf Club. Port Erin Railway Museum and Port St Mary Beach are also within 2 mi (3 km). 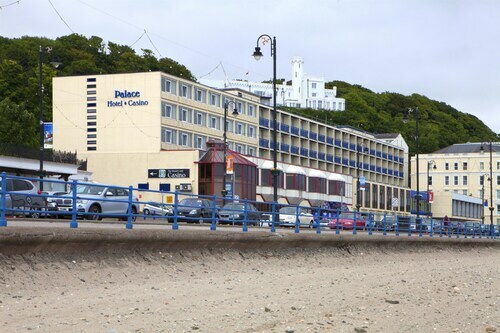 Situated in Port Erin, this hotel is steps from Port Erin Railway Museum and Port Erin Beach. Rowany Golf Club and Port St Mary Beach are also within 1 mi (2 km). 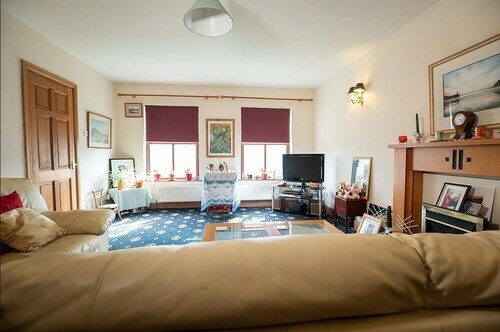 Situated in Port Erin, this golf apartment building is within a 5-minute walk of Port Erin Beach and Port Erin Railway Museum. Rowany Golf Club and Port St Mary Beach are also within 2 mi (3 km). 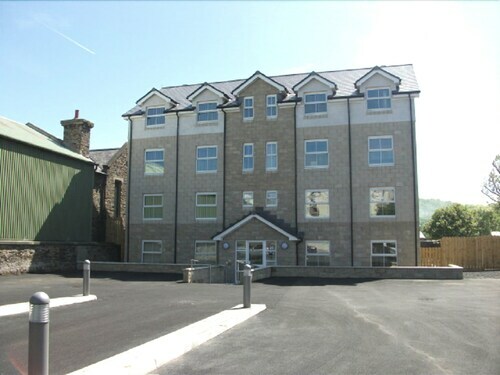 Situated in Port Erin, this apartment building is steps from Port Erin Railway Museum and Port Erin Beach. Rowany Golf Club and Port St Mary Beach are also within 1 mi (2 km). Situated in Port Erin, this guesthouse is within a 5-minute walk of Port Erin Railway Museum and Port Erin Beach. Rowany Golf Club and Port St Mary Beach are also within 1 mi (2 km). 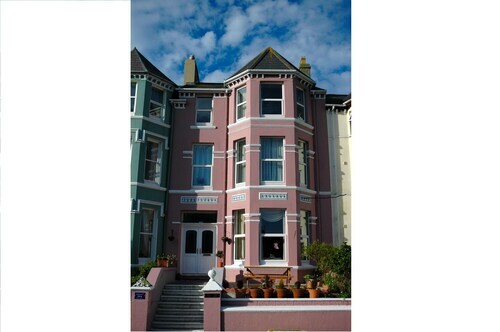 Situated by the sea, this hotel is within a 15-minute walk of Douglas Beach and Gaiety Theatre. Onchan Pleasure Park and Manx Museum are also within 1 mi (2 km). Douglas Station is 25 minutes by foot. Located in the heart of Douglas, this hotel is within a 10-minute walk of Douglas Beach, Gaiety Theatre, and Manx Museum. Tower of Refuge and Tynwald are also within 10 minutes. Douglas Station is 10 minutes by foot. 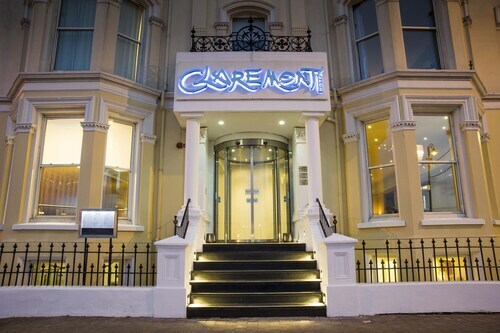 Located in the heart of Douglas, this spa hotel is within a 10-minute walk of Douglas Beach and Gaiety Theatre. Manx Museum and Tynwald are also within 1 mi (2 km). Douglas Station is 20 minutes by foot.